Photo courtesy of ESPN Films, the producers of the series. For me, the ESPN “30 for 30” series was one of the best creations of TV over the past few years. The documentary approach to sports journalism has been refreshing and (in most cases) great TV. When sports programming can keep even a passing sports fan (my finacee) interested and asking for more, you know its been done well. I listen to almost exclusively podcasts in the car these days, and one of my favorites is the “Firewall and Iceberg” podcast recorded by the lead TV reviewers Alan Sepinwall and Dan Fienberg from www.hitfix.com. I first learned of reviewer Alan Sepinwall by his appearances on Bill Simmons‘ podcasts (which are first in line to listen to when they get released) and really enjoy his reviews online and their podcasts. I happened to be perusing the hitfix.com site lately (I was looking for the name of a show they were extolling on the latest podcast) when I came across this link: Dan Fienberg’s rankings of the 30 “30-for-30” shows. While I did appreciate most of his comments, I didn’t necessarily agree with the rankings he came up with for the programs. Since i’ve seen every one of the series, I thought i’d go ahead and do my own rankings. “Marion Jones: Press Pause” As most critics have noted, this essentially turned into a glorification of Marion Jones and never once delved into her steroids usage, why she did it, or touch on any of the real issues involved with her. “Without Bias” – It essentially was a step-by-step review of the story of the player without adding much analysis to the story. “Straight Outta LA” – Unwatchable, I turned it off halfway through. Ice-T‘s not much of a filmmaker. “One Night in Vegas” – Another really weird documentary, especially with the gangsta-poem readings at the beginning and end of the show. I find it really difficult to glorify the death of a rap star who essentially talked his way into being a target. “Silly Little Game” – Re-enactment of the first group of people to play fantasy baseball; it sounds as interesting as watching the first accountants come up with regulatory principles in a room together. “The House of Steinbrenner” – This wasn’t so much a documentary as it was a glorification of a franchise that has used its superior financial might for the entire century. Poor Yankees fans; your stadium has been replaced with a Billion dollar monstrosity that has $4,000/game seats and is guaranteed to skew the revenue system in baseball for another 50 years. Awesome. “The U” – Too long, and gets bogged down in the year-to-year machinations of the program. “Unmatched” – Such an uncomfortable documentary; I came away from watching it with the interesting storyline that Evert and Navratilova were such friends … but the tone of the story and music choices had me essentially waiting for the lesbian coupling that seemed to be so pushed by the filmmakers. Ugh. “Little Big Men” – Good story, but there’s been so many American little league winners, as well as the dilution of the field, that this story loses its impact. “Guru of Go” – Perhaps combining both the story of Hank Gathers’ death AND the basketball system of Paul Westphal confused the story. “The Legend of Jimmy the Greek” – one of the very first ones shown and certainly an interesting story, but the re-enactment voice over ruins the story. “June 17, 1994” – Brings bad some strange memories. I loved the never-before-seen footage of sportscasters but I thought the story could have done with actual images and story telling. “Run Ricky Run” – Another weird documentary. Hard to feel remorse for a drug using athlete though. “Muhammad and Larry” – This was perhaps the most depressing of the series. Ali was so brain damaged by the time he took this fight, it seems almost criminal now that he was allowed to fight. The story drags though, using weird fillers for most of the time and not really showing the fight itself. “The 16th Man” – Good, but so was Invictus. “Jordan Rides the Bus” – I love Ron Shelton‘s work but you cannot help but wonder how good this would have been with actual participation from Michael Jordan. You come away from the story with the thought that Jordan actually had talent and that he worked at his baseball craft. “The Pony Excess” – Lots of interviews, great detail. Probably a bit too long though. “Tim Richmond: To the Limit” – I thought it was really interesting that NASCAR turned out to be so introspective about the clear mis-treatment of one of its own … all in the name of fear over his illness. Read his wikipedia page for some really interesting notes about his essentially be framed for his positive drug test. I cannot imagine this news breaking in Nascar or any other major sport today. “Fernando Nation” – If you don’t remember just how amazingly dominant Fernando Valenzuela was when he came to MLB, check out his baseball-reference page. In his rookie season he threw EIGHT shutouts, and started the season 8-0 with 8 complete games, and only gave up FOUR earned runs in his first 8 starts. That’s a heck of a start to the season. The story telling related to the treatment of the Mexican-American community in Los Angeles was also interesting to learn about. “No Crossover: The Trial of Allen Iverson” – Another that really could have used involvement of the principal character of the story. Nonetheless, the substories related to the high school rivalries and politics of the Tidewater area were fascinating, if not necessarily substantiated. Having lived in Virginia at the time, the amazing part of the Iverson story was that he was named both the Football and the Basketball player of the year in the state … as a Junior. He undoubtedly would have done the same as a senior. “King’s Ransom” – Interesting story telling from a great director in Peter Berg. The involvement and discussions with Gretzky on the golf range really gave this story its life. Unlike the story of LeBron James moving cities and destroying a franchise, Gretzky’s departure clearly altered the direction of the Edmonton Oilers for the long run. “Small Potatoes: Who Killed the USFL?” – Some criticized this documentary, but just for the interview with the incredibly egotistical Donald Trump make this for me. “Into the Wind” – Such a moving story. Steve Nash‘s involvement was really special in telling this inspirational Canadian pride story. “Four Days in October” – A great documentary if only for the fantastic interviews with Pedro Martinez. I found the footage of the Red Sox players facing a 3-0 deficit fascinating, and the drama of the games in retrospect makes the Boston comeback even more amazing. Update: After several re-watches, I moved this up in my rankings. “The Band that Wouldn’t Die” – Most say this is the best of the series. I feel they’re getting starry-eyed by the director (Barry Levinson) versus the actual story. But this obscure story is a highlight of the series and is a great example of the richness of American sport as a subject matter. “Winning Time: Reggie Miller vs. The New York Knicks” – One of the absolute best stories. 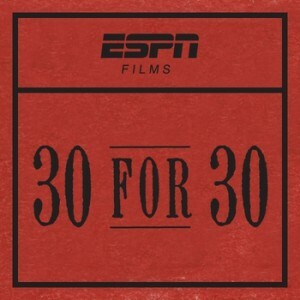 The interviews with Reggie Miller and Spike Lee make this one of the best of the series. “The Best That Never Was” – My father immediately recalled who Marcus Dupree was, and this story was an interesting tale. My biggest takeaway was the 100% positiveness of Dupree, even today. He’s not angry or sad about what his life has become (he’s a truck driver in rural Mississippi). On the contrary, he’s grateful for everything he had and all the opportunities he got. “The Two Escobars” – the footage, interviews and story told here was fantastic. I only wish it was not 100% subtitled. “Once Brothers” – Another great story, told through the eyes of the very human Vlade Divac. It could have used a bit more subtext into the politics behind the split of Yugoslavia for those of us who get lost in the mid 80s politics. Here’s to a great series and many more great documentaries. “The U,” which I thought was only mediocre, led by a fairly large margin over #2. My #1 film “The Two escobars” was in the top 10, but was 3rd in overall #1 votes. Post publishing edit: on 8/13/17, SI.com’s Media writer Richard Deitsch published his list of hte best 30 for 30’s. Many of his best list are those done well after this list was created. Apparently, from the looks of the baseball blogosphere lately, it is part of my duty as a baseball blog writer to put in my 2 cents on the 2011 Hall of Fame ballot. On Jan 5, 2011, Hall of Fame BBWAA voting will be announced and we’ll have an entire week of blog postings doing post-vote analysis. Its a great little way to fill the time in-between insignificant FA signings but before pitchers and catchers report. However I have so tired of hearing about Bert Blyleven from every blogger on the planet that I had to write my own post specifically about him. Bert Blyleven got 74.2% of vote in his 2nd to last year on the ballot in 2010 and the groundswell of stat nerds who think he was one of the best pitchers ever (despite his having a middling career that was more about longevity and accumulation rather than achievement) has officially reached a crescendo. He pitched 22 seasons but only ever received Cy Young votes in 4 seasons. That means, on a season to season basis his name came only even came into the conversation of being one of the game’s best 4 times in 22 seasons. Even more of an indictment, he only made 2 all star teams in his career! How can someone be considered one of the best who ever played the game if he was rarely even considered one of the best 25-30 players on a year to year basis? The reason the lack of all star appearances matters is because it is as good of an indicator of his stature within the game as exists. Jack Morris was the STARTER in several all star games, was a top-5 cy young candidate over and again, and was perceived to be among the best pitchers of his decade. 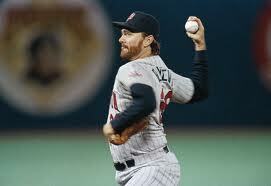 Blyleven was always just considered to be a decent pitcher with a great curveball. He never led league in Wins or Era. Only once he led in ERA+ and one other time Whip. Lots of Blyleven apologists discount the Wins (obviously) since they’re a team stat, but nobody points that out when looking at Steve Carlton‘s 27-10 record for the god-awful 1972 Phillies. They talk about how amazing a pitcher Carlton was; a Hall of Famer. But when Blyleven pitched year after year and only reached 20 wins once; that was all his teams’ fault. The big stat-nerd argument for Blyleven is his career Strikeouts, yet he only ever led the league in Ks once despite having 3700 for his career. Blyleven accumulated exactly 3701 Ks in 4970 innings. That’s a K/9 of only 6.7. And in the one year he led the league in Ks, he averaged 6.3 K/9. That’s only slightly better than the Nat’s own Craig Stammen‘s 2010 totals, by way of comparison. Just because someone pitches a gazillion innings and accumulates a ton of Ks doesn’t mean he’s one of the all time best. 3701 Ks in 4900 innings means a career 6.7 K/9 rate. That’s mediocre! Go look up where his K/9 ranks in the all time list on baseball reference. He’s just ahead of Doug Davis and just behind Barry Zito. Yeah, that’s hall of fame company. Blyleven is the epitome of an “accumulator.” He played long enough to accumulate stats that reached one of the magical baseball marks (500 homers, 3000 hits, 3000 Ks, 300 wins) that some sportswriters seem to think indicate automatic inclusion to the Hall. However, I offer the comparison of Jamie Moyer. Moyer sits at 267 career wins and wants to keep playing. It is not inconceivable that he returns from injury and gets a few more career wins. Now ask yourself a hypothetical question; if Moyer had 300 wins, would he be a hall of fame pitcher? I would hope your answer would be “absolutely not.” He just pitched long enough to reach the magical threshold number. All this hype about Blyleven is sabre-matrician stat nerd revisionist history hoopla who pay ZERO attention to what actually happened on the field during his era and just look at stats. Well, the game isn’t played in the stat books; its played on the field. And on the field Morris was far superior to Blyleven, and on the field Blyleven belongs in the hall of “good,” not the hall of fame. I have never understood the fanatical desire of the modern blogger to get Blyleven into the hall of fame. In my book he’s not a Hall of Famer now, he has never been, and I think he’ll immediately be the most mediocre player in the hall when inevitably he earns his spot this year. The signings of Chien-Ming Wang and Rick Ankiel of last week forced the hands of the Nats, putting them 2 players above the 40-man limitation on the aptly named 40-man roster. For those wondering whether they needed to drop another person to make room for right-hander Ryan Mattheus, a club official explained that while Mattheus did sign a major-league contract this fall, he did so before getting outrighted to Syracuse. Basically, he’s a minor-leaguer not on the 40-man roster with a major-league contract. Thus, we only had to clear TWO spots not three, as was speculated all week in the blogger community). To make room on the roster, the Nats DFA’d Matt Chico and Aaron Thompson this week. Chico made his way through the waivers process and was assigned to AAA, but we found out this morning that Thompson was claimed by Pittsburgh and we have lost our trade “bounty” for Nick Johnson from a couple years back. Now, not that Thompson’s performance in the minors the last couple years merited his place in the future plans of the Nationals (he was pretty much awful in AA this year: 4-13 with a 5.80era, 1.59 whip and a 95/53 k/bb ratio in 136 2/3 innings) but I find the choices of players DFA’d curious. Left handed pitchers are the hardest positions to fill, and yet we’ve released two of them. Why risk two left-handed pitchers, one of which is still quite young and was once a coveted prospect, instead of players on the roster who clearly guys who are no longer in the plans of the team? 1. Justin Maxwell. He’s 27, he’s never come close to putting up decent numbers in the majors (career slash line: .201/.319/.379 in 260 PAs), and he’s now 8th out of 8 outfielders on our 40 man outfielder depth chart (in rough order: Werth, Morgan, Bernadina, Morse, Ankiel, Harper, CBrown and him). Are we expecting Maxwell to make the team out of spring training? Do we really think he’s going to beat out Bernadina, Morse, or Ankiel? Didn’t we just acquire Brown from the A’s to eventually compete for and/or win the left fielder job? I like Maxwell; he’s a local guy and has shown flashes of brilliance. But he’s too old to make sense in Syracuse and its time to move on. 2. JD Martin: He will be 28 by next spring training and has career major league numbers of 6-9, 4.32 era, 1.396 whip and a 96 era+. Not bad (actually better numbers than guys like Mock, Stammen and Detwiler) but nothing special. He is a soft-tossing slightly built right handed pitcher in a league that is trending towards large bodied, power throwing right handers as the norm. What exactly does Martin have that can’t be easily replicated from any AAA rotation in the minors? And more importantly (as with Maxwell) where exactly does Martin fit into the plans for the rotation next year? I have him ranked either 13th or 14th out of our 14 Starters right now (in rough order of value to the team Strasburg, Zimmermann, Lannan, Marquis, LHernandez, Maya, Stammen, Detwiler, Martis, Mock, Atilano,Wang, Martin, Broderick). In other words, he’s going to have trouble cracking the AAA rotation (by my guesses, Chico, Mock, Atilano, Martis and Detwiler right now). Dropping guys off the 40-man is always a risky affair. Earlier this off-season lots of blogger noise was heard from the curious dropping of Juan Jaime, who was subsequently claimed by Arizona. At the time we still had several players who we KNEW we were not going to offer arbitration (specifically Wil Nieves), so why drop a young hard-thrower? That move didn’t make sense then and doesn’t make sense now. Today’s moves cost us a prospect needlessly. Lets hope the team picks the right players the next time they make a move. 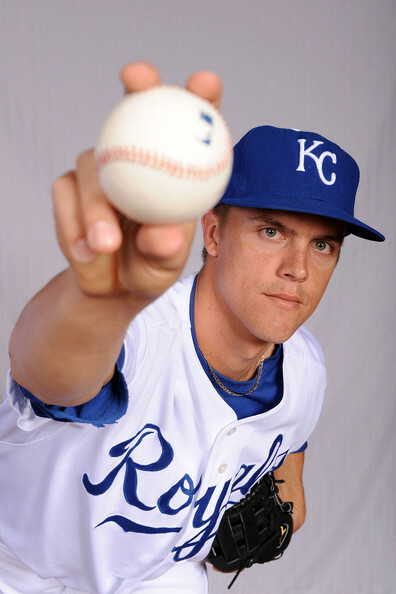 12/19/10 update: this article is essentially moot: Zack Greinke was dealt to Milwaukee along with infielder Yuniesky Betancourt for four players (outfielder Lorenzo Cain, shortstop Alcides Escobar and pitching prospects Jake Odorizzi and Jeremy Jeffress (who played HS ball in South Boston ironically enough). I’m not familiar enough with the Milwaukee prospects to offer opinion one way or the other; here’s some opinions on the trade from FanGraphs, Ken Rosenthal, Jerry Crasnick, Joe Sheehan, and Keith Law. Also from beat writers Kilgore and Zuckerman. And, according to Jon Heyman via twitter, the Nats were close to a deal for Greinke in a deal that may or may not have included Storen and Espinosa. Read more below. About 6 weeks ago the question of a possible Nat’s trade for Zack Greinke came up in a Keith Law chat (link is ESPN insider only) and the trade proposal was Zimmermann, Espinosa, Burgess and Detwiler. I wrote about this theoretical deal at the time, saying it was too much to give up. A glass-is-half empty analysis of these four players (which was apparently the opinion of Law, since he thought this would be a good deal for Washington) is something along the lines of the following: Zimmermann is promising pitcher but has yet to really produce consistently at the major league level. 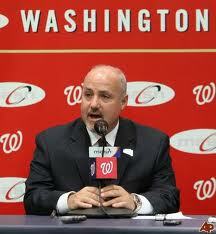 Espinosa is also promising but is replaceable by our up-and-coming 2nd base prospects Lombardozzi and Kobernus. Burgess has been solidly improving as he’s progressed through the system but he’s still the toolsy/high promise player that Jim Bowden adored but which has never really panned out. Lastly Detwiler has shown flashes of dominance but lost pretty much the entirety of 2010 to injury and is getting pushed further and further down the rotation depth chart. The glass-is-half full opinion of these four players is simple: they represent the bulk of our farm system’s player development over the past few years. These four players represent the absolute cream of our drafting crop over the past few years; a #1, a supplemental #1, a #2 and a #3 round draft pick. Now today, we are hearing the TRUE bounty that Greinke would cost, and it is similarly heavy. Greinke has hired new agents and apparently demanded a trade. He also has a limited clause in his contract that allows him to block trades to certain teams, and the Nats are on that list. According to Buster Olney though, the Royals and Nats have been talking and he discovered the actual price it would take (another ESPN insider link): Zimmerman, Espinosa and new closer Drew Storen. 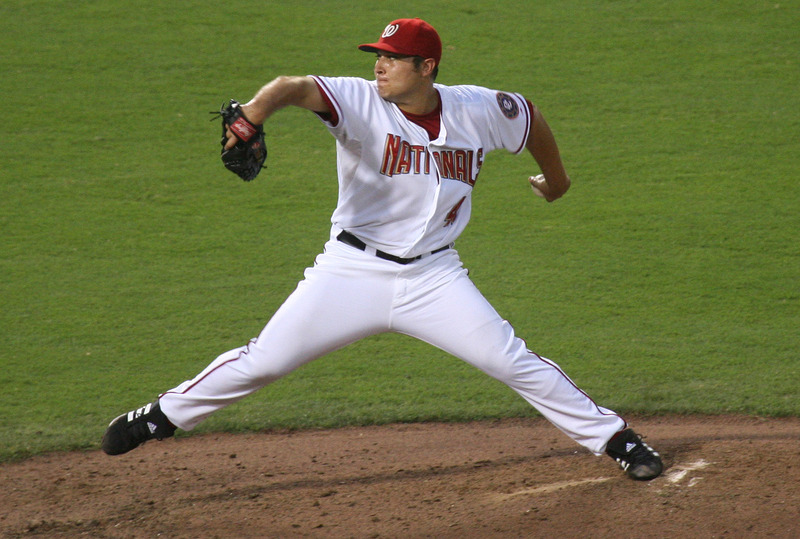 On 12/24/10, KLaw reported that the offer was Zimmermann, Storen, Norris. Wow that would have been quite the bounty. This trade option replaces the unknown players (Detwiler and Burgess) with the known quantity (Storen), and only seems slightly less palatable than the Law chat proposal. Can the Nats possibly give up 3 of their planned “starting 14” players (the 8 out-field players, the 5 rotation guys and the closer) next year for Greinke? Here’s my problem: Greinke had the makings of looking like an otherwise solid pitcher with a one-year wonder season that won him the Cy Young in 2009. Is he really an “Ace” in this league? His 2010 season was unremarkable (an ERA+ of exactly 100, meaning he performed at the mlb average), but now scouts are surmising that he was tired of his team going nowhere and he was “bored” most of the year. But the fact remains there is no guarantee he returns to his 2009 performance. If i’m Rizzo, I say no to this deal. One last note about possibly overvaluing “prospects.” Storen, Espinosa and Zimmermann are not prospects; they’ve graduated to becoming “promising young players.” They have all made the majors, they’ve all competed at the highest levels and the Nats have a decent idea of what they can do. Guys like Detwiler (because of his injury history) and players who have never reached the majors (Burgess as mentioned in this post) are the real “prospects” in question. Teams and Fans overvalue prospects in a pseudo-parental relationship because they’ve watched the players grow up and grow. But as Rosenthal pointed out (in the linked article above), prospects mostly flame out or don’t become major leaguers. That’s the difference; teams MUST be willing to part with prospects to get real players. 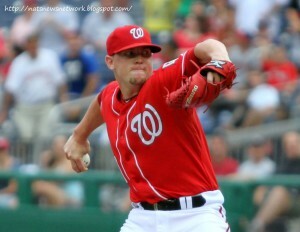 Drew Storen firing one in there. His motion kinda reminds you of the Chief's doesn't it? Photo: Photo 2010 © Cheryl Nichols Photography/ Nationals News Network. With the Josh Willingham trade netting Henry Rodriguez, a back-of-the-bullpen power arm, coupled with another bullpen arm picked up in the rule-5 draft (Elvin Ramirez), how is the bullpen competition shaping up for the 2011 team? Here’s how things stand right now: I’m using a standard 7-man bullpen to start (even though we started 2010 with 8 guys out there due to a quirk in the schedule that allowed us a week before needing Livan’s 5th starter services). This bullpen configuration means roughly a closer, 2 setup guys, a loogy, a longman and two right handers. Trevor Hoffman, and may be closer to retirement than closer roles in the majors. Nothing shocking here; the two pillars of the bullpen will continue to trade 8th inning responsibilities based on match-ups, and could also form a closer-by-committee with the youngster Storen. I’ve listed rule5 pickup Elvin Ramirez and newly acquired Henry Rodriguez as the two favorites for right handed options out of the bullpen by virtue of their contract statuses. If Ramirez doesn’t stick, we have to return him (or at the very least work out a trade with New York to retain him. Meanwhile. Rodriguez is out of options and would have to pass through waivers to return to the minors. Attempting to do this would pretty much defeat the purpose of trading Willingham away, so he’s likely to stick all year. Kimball and Carr both featured in the AFL and were both 40-man additions to protect them from the rule-5, but unless one or both of them beat out Ramirez and force the Nats to consider his return, both guys are looking at AAA to start the season. Wilkie‘s lack of 40-man standing and his safely passing through two straight years of rule5 drafts may indicate that he’s reached his peak as a player. Perhaps he could earn a mid-season or Sept 1 call-up. Despite adding Atahualpao Severino to the 40-man to protect him, I cannot see him beating out the very effective Doug Slaten as our loogy specialist. Now, Burnett certainly can perform this role as well but he’s more valuable than just serving as a one-batter guy, hence the need for a specialist. Despite all the more advanced stats showing that Craig Stammen was far more effective a starter than his “traditional numbers” showed (he had the 2nd best xFIP to Strasburg of any of our starters last year), it seems that his future is in the bullpen. There’s just too many starters in competition for not enough spots and he’s clearly lagging behind guys who I already believe will start in AAA. 2011 will be his last option year, so this is a make or break year for him. Meanwhile, speaking of options, I believe that Balester is OUT of options (he was brought up in mid 2008, then split both 09 and 2010 between the majors and minors). If he is indeed out of options he may very well get the long man job by default coming out of spring training. If he under-performs, it might spell the end of his nats career (similar to what happened to Jason Bergmann last year). I was happy to see both Mattheus and Bisenius return to the Nats fold after getting shuffled off the 40-man. Mattheus has struggled with injuries and still could be a future option, and Bisenius seems to be a blogger favorite. I was NOT so happy to see that Joel Peralta‘s fine 2010 was not enough to earn him arbitration offers from the Nats, and word came down today that he has signed with Tampa Bay, who desperately needs relievers for a bullpen that was entirely composed of 2010 Free Agents. I understand Washington’s decision NOT to get committed to a mid-30s reliever who seemed to have a career year, but we couldn’t spend $1M on the guy? I could see us re-signing rubber-armed Miguel Batista to compete for a righty slot in the spring. Walker and English are both injury rehab risks and probably sign minor league contracts, with us or someone else. So; your 2011 bullpen: Storen, Clippard, Burnett, ERamirez, HRodriguez, Slaten and Balester. Compare this to the 2010 opening day bullpen: Capps, Bruney, Clippard, Burnett, English, Bergmann, Walker, Batista. Improved? Even ff Ramirez and Rodriguez don’t pan out, I like 2011 better. Talk about a shock. Everyone in the baseball world had Cliff Lee going to the Yankees (with a small minority believing that the lack of income taxes in Texas would keep him with the Rangers). Now, news has broken that Lee is returning to the Phillies in a relatively affordable deal (all things considered). 5years, $120 (average annual value of $24M) with a 6th year easily attained. He turned down longer deals from New York (reportedly 6years $132M with a 7th year player option at $16M) and Texas (a similar 6year deal with player option for 7th) to return to Philly, where he really enjoyed the clubhouse culture and the city. The Phillies are *really* stacked. A rotation where Roy Oswalt is your 4th starter?? That’s sick. Though they’ll probably line up the rotation to go R-L (Halladay, Lee, Oswalt, Hamels). Their 5th starter is now either Blanton or Kendrick, meaning they have spare parts to trade to teams needing pitching. Lee joins a team that won 97 games last year and significantly improves the rotation. Does this mean the Phillies are on their way to 105-106 wins? Perhaps; Lee is such an upgrade over the starter he’s basically replacing in the rotation (Jamie Moyer), but the Phillies have lost Jayson Werth in the middle of their order. Ibanez isn’t getting any younger and its no guarantee super-stud prospect Dominic Brown can provide the offensive replacement they need. But, baseball is becoming a pitcher’s game and the Phillies just bought the biggest arm out there. Phillies GM Ruben Amaro re-acquires the same guy he mortgaged his upper farm system for two years ago. Only this time for no prospects lost (just his 1st round draft pick). I know that nobody will be saying this, but clearly the return of Lee means that the Phillies screwed up royally by letting him go in the first place. Luckily nobody will care as long as they’re still winning, still making the playoffs and still competing for the world series. And, in the end it may not matter because reports from scouts say that the Phillies lower farm teams (rookie and low-A) are stacked with talent and the team will naturally replace some of these aging free agents (guys like Polanco, Ibanez, perhaps even Victorino) with cheaper alternatives and keep payroll in check. The Yankees are in seriously big trouble. Their entire off-season depended on upgrading a very vulnerable rotation with Lee. Right now their rotation has one sure thing (Sabathia), one retirement question mark (Pettitte), one promising rookie with little track record (Hughes), one possible massive FA bust (Burnett) and … who knows? I don’t think a trade for Greinke or Garza is possible for the Yankees; Greinke may not be the best fit in NY and Tampa may not be wise to trade Garza intra-division. Plus, do the Yankees even have prospects worthy of tempting these two teams? Joe Lemire posted very similar thoughts to mine vis-a-vis the yankees today as well. Lee’s contract, tacked onto the massive contracts for Howard and Halladay may very well serve as a boat anchor for this team in a few years. I’ve posted in the past about free agent pitcher contract values and clearly a $24M/year AAV is going to be incredibly difficult to earn. 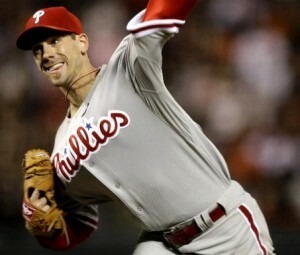 Even if Lee wins 20 games in every season of the contract the Philles are still not getting good value on their money. Cot’s site isn’t fully updated for even Howard’s extension but the Phillies right now have about $80M committed in 2013 to FOUR players (Howard at $20M, Halladay $20M, Lee $24M and Utley $15M). That’s not exactly a lot of flexibility of one of those guys gets badly injured. Since this is a Nats blog, how does this affect us? Besides the obvious (the Phillies clearly will be that much more tough to beat for a divisional title for the next few years), this move means the Nats may have a much tougher time acquiring Greinke or Garza. Both Texas and New York now will bet the farm on those two starters, and the Nats will not be willing to match the prospect drain that Kansas City and Tampa Bay (respectively) will be demanding in return. And lastly the really obvious; competing in the NL East just got that much harder for this team. If the Phillies are going to act like the Yankees in acquiring high-end FA an Payroll … the Lerners better start acting more like Boston and less like Baltimore. $60M in payroll isn’t going to cut it anymore; try $120M. The Werth signing in many ways seemed like a desperation signing, a quick attempt to regain some fan interest in this town and offset the loss of Adam Dunn. But Werth alone isn’t going to help this team. We need more hitting, better pitching, better players. Honestly we really just need time to get our high-end prospects though the system … but can we wait until 2013 to compete? The team is entering its 7th year in Washington, a team notorious for NOT supporting its professional teams unless they’re successful. Baseball isn’t like football, where national TV contracts and salary caps essentially mean a team can compete equally whether they’re in New York or Kalamazoo. In baseball you have to generate your own revenue and make your own luck. You have to spend money or spend time (and risk alienating the entire fan base) while getting better. For the Nats, who wasted 3 years of good will and a brand new stadium being stingy and thinking that the product on the field didn’t matter … they have no choice. They need to be successful NOW to stem the flow of season ticket cancellations and attempt to be relevant in this town. Rizzo’s off-season todo list: where do we stand? 1. 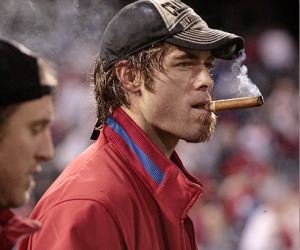 In what was easily the most surprising move this team has done since relocating from Montreal, we acquired a front-line marquee FA in Jayson Werth, satisfying the “power hitting RF” fantasy requirement. Yes there are concerns about the contract’s length and value, but hey, we’re a better team for getting him. 2. Rizzo has definitely made mention of wanting to acquire a “top of the rotation” starter but they are hard to come by this off season. Cliff Lee is the target, and from there the list dwindled quickly to include guys who were middle of the road veterans with question marks (Vazquez, Pavano), FA starters that weren’t exactly planning on going anywhere (Lilly, Kuroda, de La Rosa, Arroyo, Garland, Padilla) and incredibly risky alternatives (Webb, Darvish, Francis). 3. Lastly, despite my desire to upgrade from Nyjer Morgan in center and leadoff (for reasons that include discipline, chemistry and performance), Rizzo seems set on the guy for the time being. I would not be surprised to see no more movement in this area. I advocated trading Willingham to Boston for possible spare-part outfielder Jacoby Ellsbury in a previous post, but despite Willingham’s offensive capabilities Boston may also value defense and may not really be interested in acquiring more bats this off season. 1. 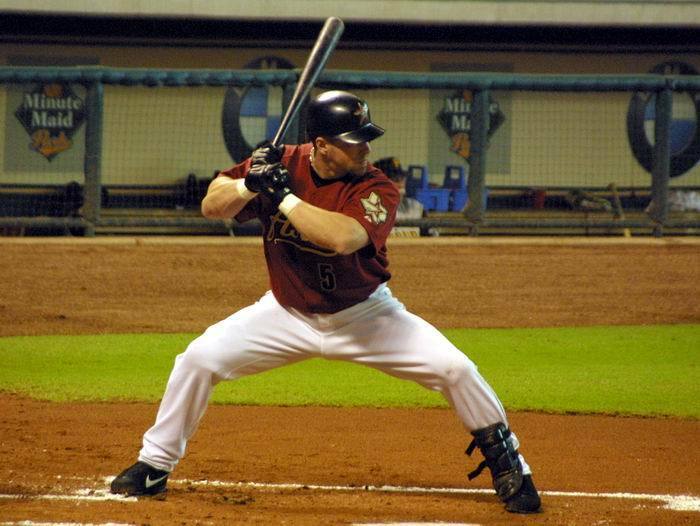 Acquiring a first baseman included the possibility of re-signing Adam Dunn, despite all indications that it was never to happen. Rizzo clearly will take less power for more defense at first, and we seem destined to sign Adam LaRoche (after missing out on Carlos Pena, the player I was absolutely sure we’d get). Frankly, for my money I’d rather have LaRoche. He’ll sign a 2 year deal for less than any of Dunn, Pena, Konerko or Huff would have signed for, he hits for power and he is a plus defender. I think he’s perfect until we figure out if Chris Marrero or someone even more remote (like high-A stud hitter and Nats minor leaguer of the year in 2010 Tyler Moore) becomes a possibility. A final thought; I do NOT want to be left with Derrek Lee as the solution. He’s a right handed hitter on a team that is now full of them. Zimmerman, Willingham, Werth all righties; we need a lefty slugger to break up the middle of our batting order. 2. I still see the acquisition of one or two veteran FA pitchers on the horizon. I can see us (unless someone foolishly offers him $10M) signing Brandon Webb on a one year flier. I can see us re-signing Wang to a minor league deal with an invite to spring training. 3. The backup middle infielder is a lower priority but still important. If Desmond/Espinosa are holding down the starting spots and Alberto Gonzalez is begrudingly serving as the primary glove-man backup, we still need a second player that can do middle infield. Willie Harris has been that player but he really tailed off last season. Adam Kennedy served as the backup for the right side of the infield but he clearly wants to start. I was lobbying for Pete Orr as a nice cheap candidate; he had always produced for us when called up, could play 2nd, 3rd or even outfield. But he signed elsewhere as a minor league FA. Perhaps the answer is a prospect to be named (Lombardozzi?) or a FA signing. 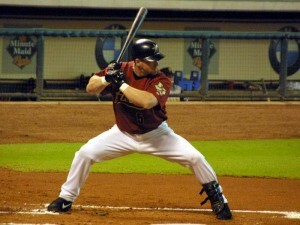 I like David Eckstein to team him up with his hitting-coach brother but he probably wants a starting job too. And Eckstein wouldn’t make sense unless we traded one of Desmond/Espinosa (still a possibility; see later). 1. There are a couple closer-types on the FA market and I can now see the Nats picking one up ala their deal with Matt Capps to cover for Storen as he grows into the spot. Jenks, Dotel,Gregg, Hoffman, Soriano, Wood all available (Soriano a type-A though, so we wont’ get him). I think this would make for a good piece of business and could serve as a useful trade chip mid season. 2. I can see us working out a trade with Tampa Bay to acquire Matt Garza. Tampa wants to get rid of payroll, not add it, but perhaps we can pre-arrange a one-year deal with Willingham and flip him to Tampa. Washington could eat some of the salary and Willingham would slot nicely into the left field spot recently vacated by Carl Crawford. Tampa may like this deal since Willingham projects to be a type-A free agent and would net them 2 picks when he leaves (you have to think Willingham wants to get at least a 3-year deal when he hits the FA market based on his age and his proclivities for injuries). Of course, getting rid of Willingham also puts a hole into OUR lineup, one that looks pretty promising when we get a power hitting lefty first baseman. And we certainly would like to get some compensation picks to continue to rebuild the farm system. More likely Tampa would ask for someone like Desmond, which would be a tough trade to swallow for a team that hasn’t really developed that many marquee players in the last 5 years. We could trade Desmond, acquire Garza, move Espinosa to short (where he’s a better fielder anyway) then sign a short term 2nd baseman like David Eckstein or Orlando Hudson until one of our high-end 2nd base prospects (Lobardozzi, Rick Hague or Jeff Kobernus) is ready to go. 3. Lastly, with not one but TWO arms picked up in the rule5 draft, the likelihood of us acquiring any veteran bullpen arms seems nil. Perhaps we re-sign Peralta as a long man, but we have plenty of cover there in Balester and Stammen. We have all the arms we could want coming up (Kimball, Carr, Wilkie all project as mid-bullpen arms, and the AA team is filled with good arms with no place to move up to with so many AAA starters on the 40-man) and we have three great live arms in Storen, Clippard and Burnett already in place. It has been a pretty fun offseason to track thus far for Nats fans. I can’t wait to see what happens next. Jayson Werth; is he worth it? I avoided the obvious pun in the title, but clearly the 7yr $126M dollar deal we just signed with Jayson Werth is going to stir some serious blog “ink” over the next couple days. In fact, reading some quick twitter comments from the leading reporters at the winter meetings seem to indicate that this deal has completely “shaken up” the meetings, that other teams are stunned, that rival execs are “pissed” and that this could be a game changer contract in the league. – Jayson Werth’s numbers over the past few years are definitely strong. He finished up last year with a 145 OPS+ figure, putting him 5th in the NL. – Despite having clearly better numbers in his walk year, he has been a rather consistent performer when looking at his WAR figures over the past few years. 5.1, 4.9 and 5.0 over the past three seasons. Consistent. – He plays RF, where we’re desperately in need of a slugger. He can also play center and left (though his UZR/150 numbers for center are god-awful). His LF defensive value is quite good though. – Fangraphs.com just posted analysis that essentially validates his salary as compared to the typical value of WAR on the FA market, and says that it isn’t really that bad of a contract. For now any way; we’ll see what happens as he ages and if/when he tails off. – 7 years guaranteed for a guy who just turned 31. $18M (average contract value) per year for a guy in his age 37 and 38 years. Scary. This contract immediately becomes more or less untradable. – We commit 7 years to a right fielder, when we have the best hitting prospect (and dedicated right fielder) in baseball in Bryce Harper slated to arrive mid-way through the contract. I’ll guess Werth moves to LF naturally. – Wouldn’t we have rather committed 56M on Adam Dunn instead of more than twice that for a lesser hitter? – Intangibles: we now have an $18M/year player on the books, which is more than twice the Face of the Franchise’s 2011 number. Problematic in the club house? Or will the young leader recognize that his time to “get paid” is coming and that Werth’s contract is indicative of his body of work over the past few years? – We lose a draft pick; but because our 1st rounder is protected we’ll only lose our 2nd round pick. However, we picked up the White Sox’s pick in the Dunn deal so we still have essentially 3 first rounders in 2011’s deep draft. A little right-handed heavy right now. Another potential future move could be to trade Willingham for a starter and put lefty-hitting Bernadina in left. That’d be a nice balance of R-L-R-L in the heart of the order. This move immediately marginalizes both Bernadina and Morse though; perhaps we’ll see them moved as part of a deal to get someone like Matt Garza. Conclusion: The Nationals have proven several times in the past two offseasons that they need to overpay to get FAs to come here. We offered Teixeira more money than New York, and reportedly we offered De La Rosa more money than he took to return to Colorado. I think this is the Nationals essentially “buying” their way into the discussions for free agents, now and in the future. It’s definitely a hitter we needed, and hopefully by the time his contract reaches albatross level it won’t matter because we’ll be winning and he’ll be a part of it.